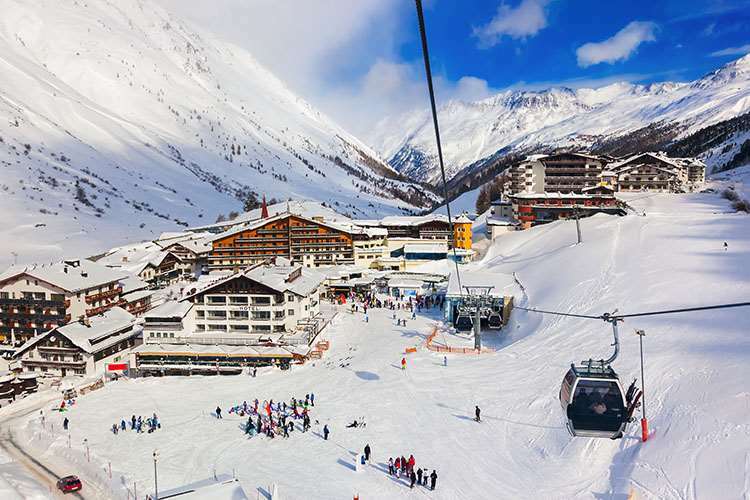 Beautifully furnished and caringly run by the Schöpf family who pride themselves on their excellent cuisine and personal service, the Jenewein has many repeat guests who praise the warm welcome and the hotel's perfect ski-in/ski-out location oppposite the Hohe Mut gondola. Its new panoramic wellness area is a great addition, with jacuzzi, various saunas, steam room and relaxation area. The hotel's après-ski bar is a popular meeting place for lunch or after skiing. The whole hotel is non-smoking. The Jenewein enjoys an ideal location in the centre of the village at the bottom of the slopes next to the Hohe Mut and Rosskar lifts and ski school meeting place. All rooms have telephone, satellite TV, radio, safe, bathrobes, slippers and hairdryer. Rooms with balcony are available on request.